Hello Pizza joined our Mission to help provide access to “Clean Water for All by 2030”. This Mission was initiated by the United Nations. A big thank you to Hello Pizza’s team and customers for joining this extremely important mission on 20 February 2018. Genuinely good pizza doesn't cost as much as you'd think. It's things like heavy marketing, hipster store fit-outs and random varieties no-one ever orders that bump the price up. Because we've kept things simple, we can spend the money on what really matters - quality ingredients and great service. 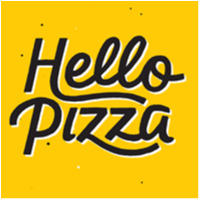 So head to HelloPizza.com.au and say hello to pizza made with gusto, delivered pronto.